1. Select “Create tour” from the main menu. Complete the “Tour Name” field. Leave the tour category as “Walking”. 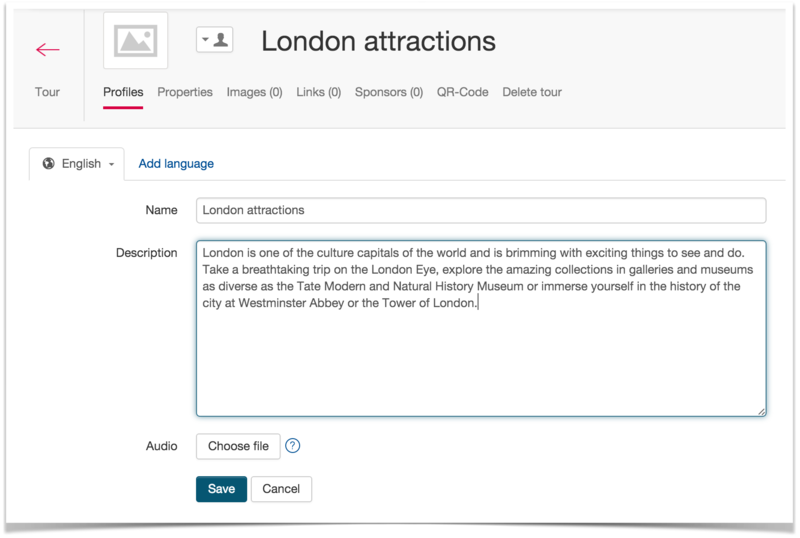 Leave the tour language as selected, or choose your own from the “Main Language” list. 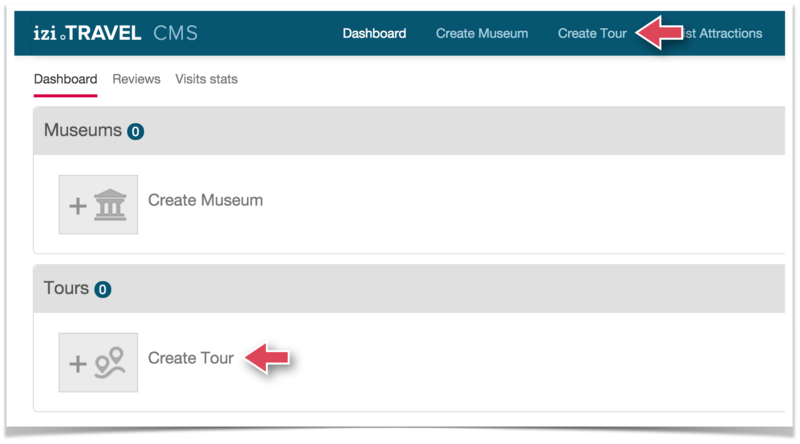 The Create Tour window will close, and the “Profiles” section of your newly-created tour will open. Add a description in the “Description” field. This text will be displayed on the tour’s page in the mobile audio guide. 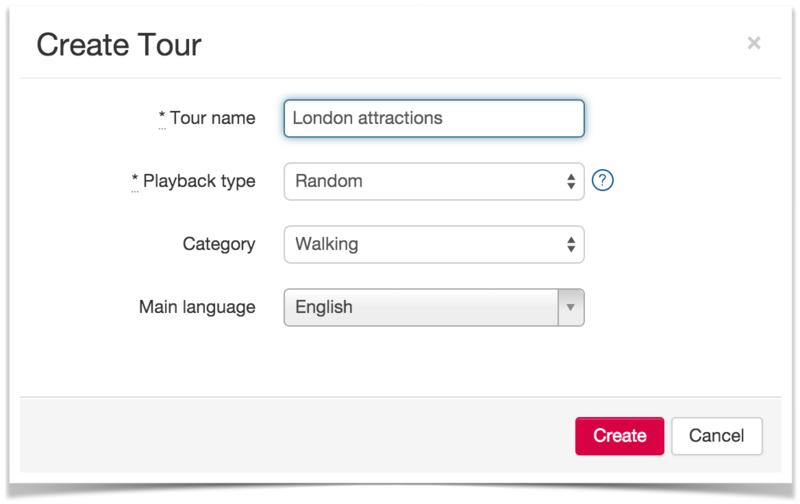 Upload an audio story about the tour by clicking on “Choose file”, next to the “Audio” parameter. If not, skip this step – you can upload one later. 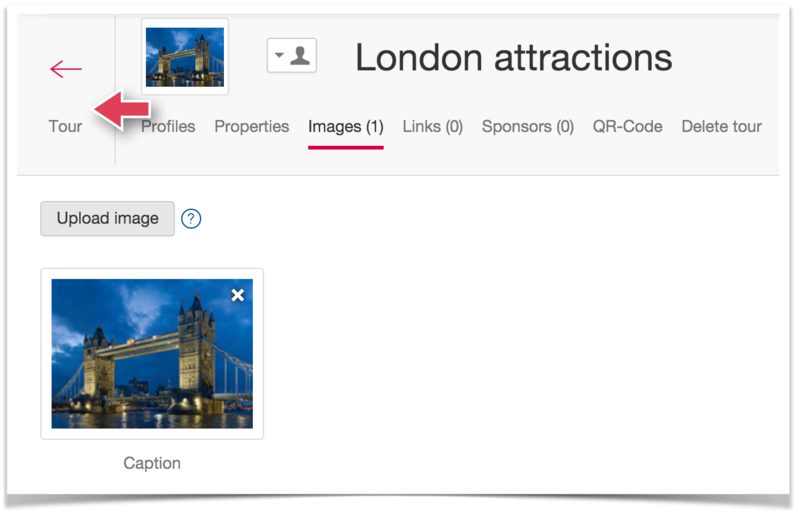 In the new window, select the file containing the tour image. The selected image will be uploaded and will replace the default picture. This completes the initial settings of the tour. Click on the arrow in order to return to the tour’s main window. Go on to create tourist attractions.